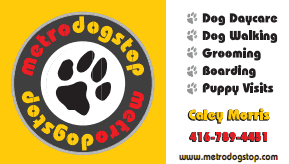 Toronto Dogs Directory: This Year PetSmart Has Found Homes For More Than 6000 Pets In Canada, And September 13 - 15 Is National Adoption Weekend! This Year PetSmart Has Found Homes For More Than 6000 Pets In Canada, And September 13 - 15 Is National Adoption Weekend! TORONTO, Aug. 28, 2013 /CNW/ - This time of year, a few things are certain: the days get shorter, leaves change colour, and kids return to school. But, did you know September may also be the perfect time of year to add a new companion to your home? You can do just that by adopting at the PetSmart Charities of Canada National Adoption Weekend, Sept. 13-15 at your neighbourhood PetSmart® store. Not only will you gain a loving friend through adoption, but you'll also save the life of a deserving pet. More than 2,000 adoption partners will be on-site at all 1,300 PetSmart stores in Canada, the United States and Puerto Rico to help you fall head over paws with a new furry friend, whether you're a feline fanatic or devoted to dogs. "So far this year, in partnership with animal welfare organizations, we have helped find forever homes for more than 6,000 pets in Canada," said John DeFranco, president, PetSmart Charities of Canada. "By focusing our efforts in local communities through National Adoption Weekend we hope to achieve the greatest impact and save lives of thousands more homeless pets." Not only will you save a life by adopting this fall, but PetSmart Charities of Canada will also reward all participating local adoption partners; each will receive $35 in adoption-reward grants for every pet adopted this weekend. "By donating space in PetSmart stores nationwide, we are committed to working with PetSmart Charities of Canada and animal welfare organizations to find homes for deserving pets in need," said Rob Smith, regional director, PetSmart Canada. National Adoption Weekends are sponsored by PetSmart, Purina® Pro Plan® and MAXX Scoop®. The final National Adoption Weekend of 2013 will take place November 15-17. Visit the PetSmart Charities of Canada's adoption centre inside any PetSmart store in Canada from 9 a.m. to 9 p.m. on Friday, Sept. 13 and Saturday, Sept. 14; and 10 a.m. to 6 p.m. on Sunday, Sept. 15. To learn more about the event and to find the PetSmart store nearest you, visit http://pets.petsmart.com/adoptions/ or call 1-877-473-8762. For weekend updates and photos, follow along with PetSmart Charities of Canada and PetSmart on Facebook at www.facebook.com/PetSmartCharities and www.facebook.com/PetSmart. You can also join the conversation on Twitter at https://twitter.com/PetSmartChariTs and https://twitter.com/PetSmart and by following the hashtag #adoptlove. 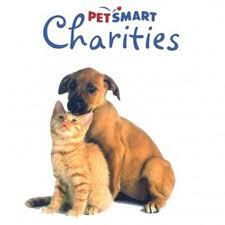 PetSmart Charities of Canada, Inc. is a registered charity that saves the lives of homeless pets. More than 150,000 dogs and cats have found homes through the organization's adoption program in all PetSmart stores and its signature adoption events. A leading funder of animal welfare, PetSmart Charities of Canada has granted more than $3.7 million to help pets in need, with a focus on spay/neuter programs that help communities solve pet overpopulation.